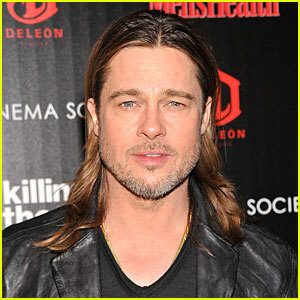 Brad Pitt is circling to star in the upcoming drama Pontius Pilate, but has not committed. The 49-year-old actor would play the role of Lucius Pontius Pilate, one of the most well known villains in history. I can't wait until he does the scene where he has to decide whether to release Aniston or Jolie: "What then shall I do with Jennifer, the one they call the 'Sandy Vaj'?" I think Mel Gibson is a natural for the role, the way he likes to persecute Jews and all. Since Barrabus was Jewish, too, Mel would probably crucify both of them by having them watch "The Beaver". I did a search and didn't find anything...is this project based on the recent "Memoirs of Pontius Pilate" book? I will only watch if they include James Woods as Pontius's not-so-secret lover, Biggus Dickus. i wish that this movie will be up. The Achilles from the movie Troy will now Pontius Pilate. Love to see it.